There’s more to hiking than meets the eye, and when you’ve got the spectacular Henderson Beach State Park to discover and explore, you’ll probably want to go outdoors every weekend. With the Emerald Coast just beckoning you to jump in for a swim, you’ll get to enjoy oceanfront views for miles around, and if such a brilliant blue doesn’t tug at your heartstrings, nothing will. Imagine the fresh air, the hustle and bustle of vendors and customers and delicious smells wafting through the air. If that does the trick to get you drooling, just head on over to Fort Walton Beach Landing Park every 2nd and 4th Saturday of the month to enjoy yourself. Here, you can easily find produce and products from local vendors, artisans, craftsmen and farmers from the region. Of course, there will be benches to plonk yourself down on and even grills if you want some fresh hot food to savor, but picnicking is very much about chilling, eating and having a great time outdoors. This park is a great place for the whole family, so why not make it an excursion every other weekend? Of course, the more the merrier, and at 3.55-acres, there’s more than enough space for everyone and more. Proceeds from this race will go towards Niceville Sharing and Caring, so you’re really running for a good cause. It’s a great way to stay fit and meet new people, and there’s even a kid’s fun run right after the 5K. After the race, Bluewater Fitness will be hosting a fun after-party that everyone can enjoy too. All in all, this is a race to look forward to and a healthy way to start your outdoor adventures in April. Starting Time & Date: 6 April 2019. 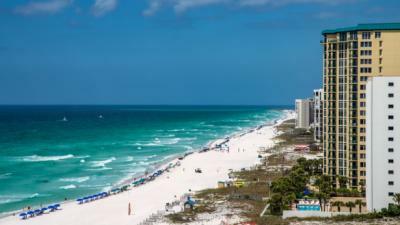 Starts at 8 a.m.
You’ll need to soak in all of Destin’s coastlines to truly understand the magnificence of the great blue ocean, and the best thing about this is that there’s simply great weather all year round. Our Destin limo service has had its fair share of excursions to some of the best sightseeing spots, and we’re always blown away by just how beautiful the outdoors can be. We’ll love to have you on board with us to experience it all, so just give us a call or book our services online to start enjoying today. We are more than happy to provide you with the best car rental Destin Fl has to offer. When it comes to reliable ground transportation, let the professionals at 654LIMO take care of you. We invite you to experience our unique style and discover why 654LIMO has been chosen the “Best Transportation Service” by the readers of Emerald Coast Magazine for six consecutive years.